What the Heck is a Toadstool? The Toadstool Mega328 is a quick and simple way to get going with prototyping your next Atmel ATmega328P project. 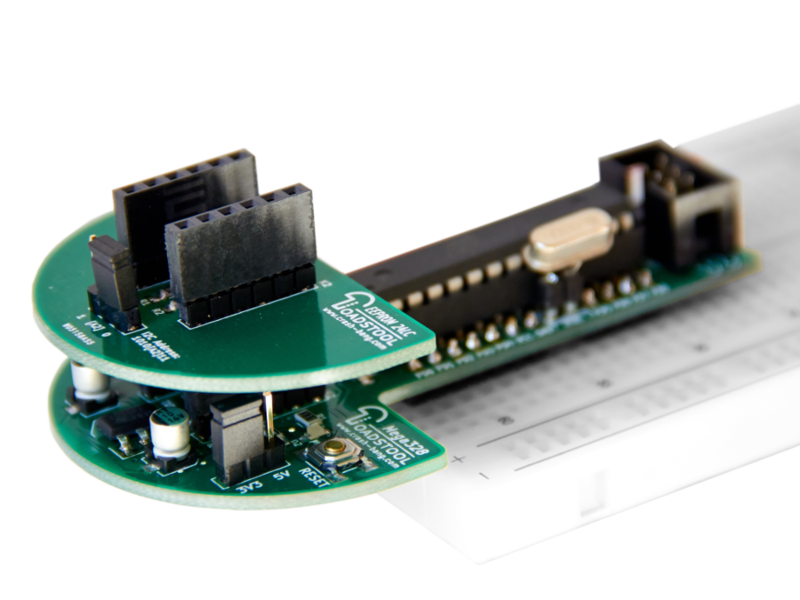 Simply plug this self-sufficient, standalone microcontroller board directly onto your breadboard and start building. The Toadstool contains Atmel’s ATmega328P microcontroller, breaking the pins out so that they are easily accessible right from your breadboard. It can be powered from a 6-9V power source, so you aren’t tied to your computer, and contains an ICSP header for programming. 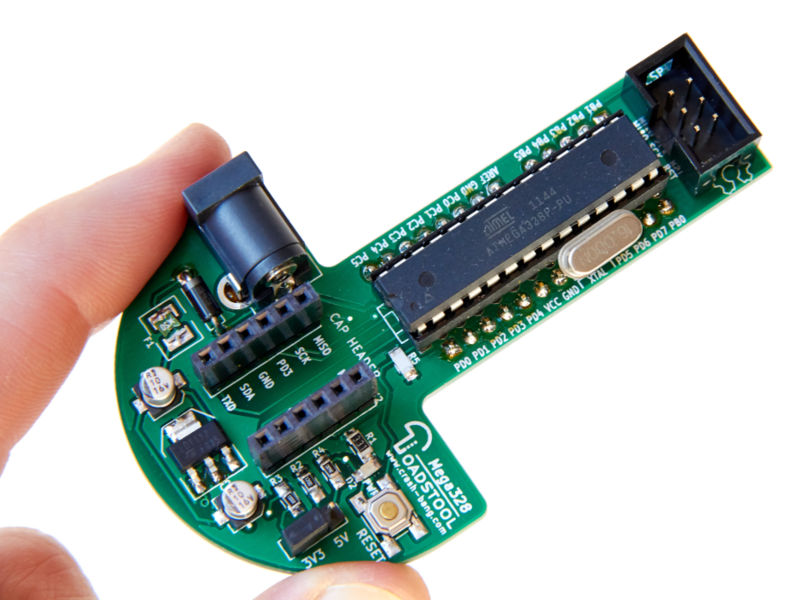 All Toadstool boards share a standard header to allow you to attach breakout modules called Caps. This header contains SPI, I2C and UART signals, so you can easily add SPI, I2C/TWI or UART modules to your project without having to wire them up on the breadboard (you’ll never forget a pullup resistor on your I2C module again!). We’ve already designed a number, but the list is almost endless.